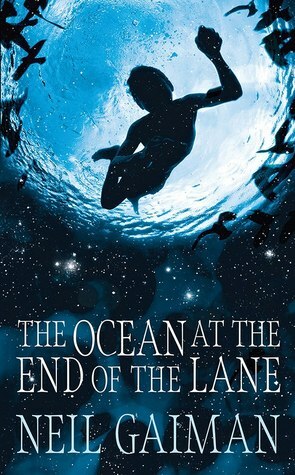 This thread is to discuss The Ocean at the End of the Lane by Neil Gaiman. Be prepared for spoilers. Are you a Neil Gaiman fan? If so, you may want to check out our Neil Gaiman - A book a month for a year buddy reads. We'd love to have you join. I'm always happy to read Neil Gaiman books! 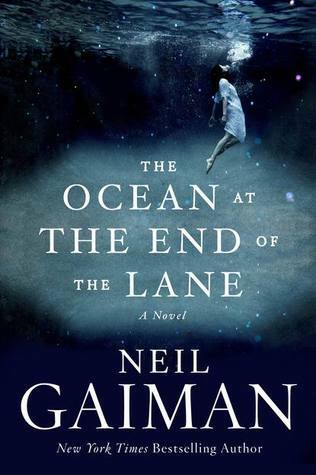 I've never read a Neil Gaiman book, so I'm really looking forward to this. I'm picking up my copy at the library tomorrow! This book is SO so sooo good. Yes, I look forward to reading it, but if it is as good as I know it is, I'll want it to continue. My public library has at least five editions of this book, but there are so many patrons waiting for all of them! I placed holds on all of them, though, and hope one is ready for me before October 15. If not I'll just by a copy for the discussion and when we're done, the library can have that, too. I'll try to jump in if I can. I actually am looking forward to this book as my first. When I tried starting with American Gods, it totally overwhelmed me. I was 70-something on the waitlist at my library... now I'm 43. Whenever that happens, I go to a different library. Sometimes the hold times aren't so long then. I'll be able to pick mine up next Tuesday so I might start a little early than the group. Glad I won't be the only one, Karen! I'm just hoping I don't go into this one with my expectations too high at this point! It's not complicated, as I've heard some of the other books are, and I thought it was better developed than Coraline. It's definitely still a fantasy book though. It's always hard to pick up a book with a lot of hype, but I liked this one. I wasn't sure it was fantasy. Thanks for that, Kristie! Nicole wrote: "I actually am looking forward to this book as my first. When I tried starting with American Gods, it totally overwhelmed me." This one has layers in a very different way than American Gods. I think part of what makes American Gods overwhelming is that it's a picaresque. Ocean's plot reads as much more straightforward and less episodic, although it's still very character driven and atmospheric. Wow that is long. But totally worth it. And makes me want to start the book today! The ocean at the end ..."
Hurrah! I've wanted my local book club to read this, but they only read paperbacks, so I'm excited for this discussion. I think there's a lot to mulled over and discussed and plenty to spark story sharing in this book. Great - Welcome Anima, Saxonjus and Julia Grace! I'm in! I hope I can keep up. Already read it. I will see what I can contribute. I remember I was swept away into this nostalgic ethereal state by the first chapter. I loved the writing. Do we know how fast we are planning to read this one, guys? Nicole wrote: "Do we know how fast we are planning to read this one, guys?" It's currently scheduled for 4 days, Nicole. I'm so excited for this to start!